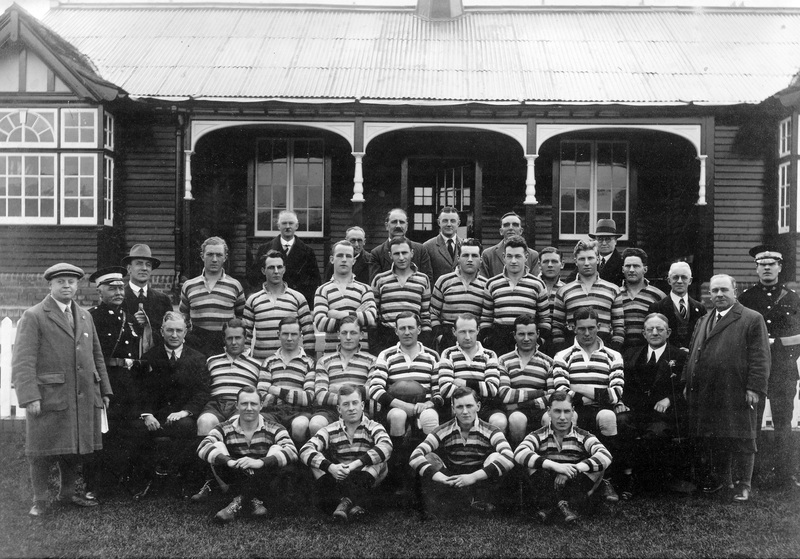 Back Row: R Farnham (Committee), J Piper ( Joint Hon. Secretary), F Cashnella (Committee), W Bascombe (Committee), G Gray (Committee), H Bowen (Committee). Third Row: A Ford (Committee), A Goold, L Basden, S Weekes, P Skinner, N Matthews, E Dunscombe, H Burgess, A Milsom, W Usher, W Davis (Committee). Second Row: G Burden (Committee) C Curtis (St. John Ambulance), H Vanstone (Hon Treasurer), J Hannah, A Anderson, H Wake, W.J. Gibbs (Capt), I Pitman, K Holmes, R Collett, E Simpkins ( Joint Hon. Secretary), C.C. Wills (Chairman). Front Row: W Hancock, A Tomlinson, R Banks, D James.